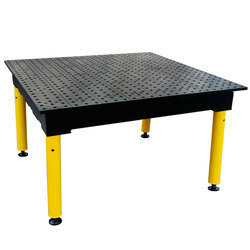 The universal 3D work bench and welding table can meet all horizontal and vertical requirements. Precisely, quickly and in no time at all, you can erect your system with these modular parts: machine guarding, racks, frames, crossbars, brackets, railings, stairs, doors, control cabinets, metal cladding panelling etc. We manufacture all types of Welding Table Clamps. 3D Modular welding table with clamps and fixtures. Most economical & accurate working for regular fabrication as well as for making fixtures/templates. 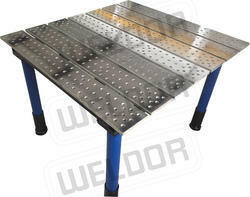 We are engaged in offering high quality range of Portable Welding Downdraft Table to our esteemed customers.